FROM THE AWARD-WINNING CREATORS OF CIVILIZATION COMES A GAME ABOUT CIVILIZATION’S LAST STAND. 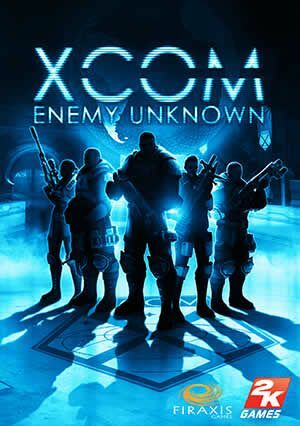 Threatened by an unknown enemy, Earth’s governments unite to form an elite paramilitary organization, known as XCOM, to combat this extraterrestrial attack. As the commander of XCOM, you control the global defense team in a battle against a terrifying alien invasion by creating a fully operational base, researching alien technologies, planning combat missions, and controlling soldier movement in battle. •GLOBAL THREAT: Interact and negotiate with governments around the world to combat the alien threat. •STRATEGIC BASE OF OPERATIONS: Build and expand your XCOM headquarters, recruit and develop unique soldiers to take into battle, and research alien technology to expand your weapons and capabilities. •TACTICAL MULTIPLAYER: Mix and match aliens and soldiers and combine abilities to outsmart and overpower your opponent.